The articles are scanned with the URKUND plagiarism program. 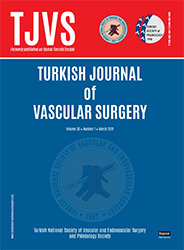 Our journal will be published in English by the year 2019. Please submit your articles in English. Comparison of upper forearm polytetrafluoroethylene grafts in hemodialysis patients: Curved or loop?